As the Parenting Seeking to Adopt, what should I bring to my initial consultation? Prior to beginning the adoption process, it is important to understand that once the adoption is finalized, there is a new parent-child relationship created by law. This means that the new adoptive parent will be recognized as the legal parent. 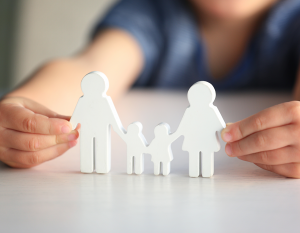 In the event that there is a divorce or death, that parent will be legally and financially responsible for the child, which includes child support in the event of a divorce. While we certainly hope it never happens, it is something to consider. However, if you do not adopt, you will have no legal rights to a stepchild in the event of divorce. If you have developed a parental bond with a stepchild, you may want to strongly consider adoption. Prior to filing the Petition for Adoption or as part of the adoption, it is important to take the appropriate steps to terminate the parental rights of the other (surviving) parent of the child you are seeking to adopt. Termination of parental rights can be very tricky and must be done properly. If every step is not done properly, the adoption will not be successful, or worse, may be set aside. Termination of parental rights is not something the courts take lightly and it can be a difficult process. Even if you are not sure about the whereabouts of the other parent or if they have completely abandoned the child, there is a very strict process for terminating rights. The petitioner must be financially, physically, and mentally able to have permanent custody of the child to be adopted. There are other requirements that may be required by the county where the adoption is taking place. This may include a background check, a home visit, or other similar requirements. Adopting a stepchild and providing that child with a caring, loving, legal parent is an incredibly happy occasion. However, if the adoption is not handled properly it may lead to delays and legal problems for you and your loved ones. If you are considering adoptions, contact us at (678) 231-0607 to schedule a consultation to meet with one of our experienced attorneys.